I know how we all love IE…but unfortunately, a majority of my client’s site members are using that browser. 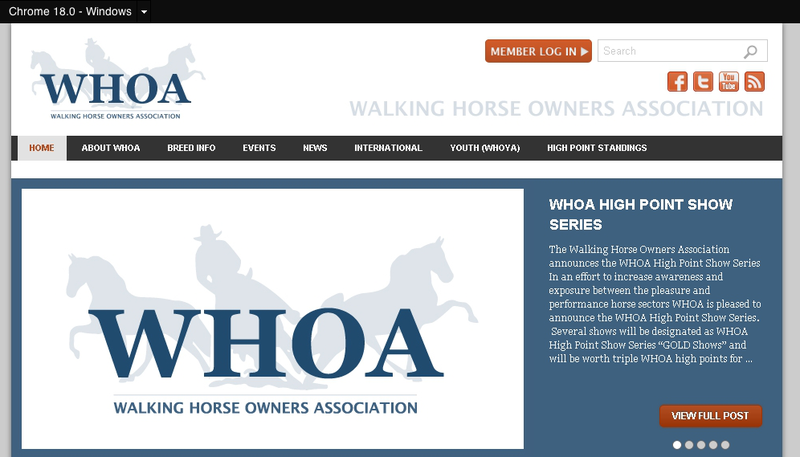 Since the site (http://www.walkinghorseowners.com) was launched early this year, the header image (only the image, not the buttons, etc.) has been duplicated in IE8 & IE9. I recently tried changing the get_header calls in Graphene to include_once('header.php') in hopes that would fix the issue, but no change happened. The header appears correctly in Chrome, Firefox, and IE7. I noticed another post in the forum by someone having a similar issue. However, it looks like an issue caused by a function the user had added, and he/she solved the problem. Any ideas, by looking at the page source, etc., of what could be causing this problem? Have you tried disabling plugins to see if this is a plugin conflict of some sort? 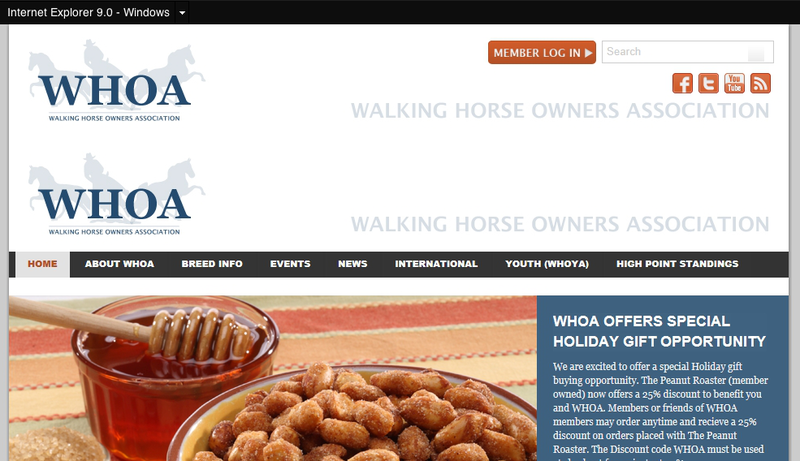 Well, if its not some plugin issue ( It may be feed implementing) , can you give us a look at your header.php file. From opening div id=”top-bar” till closing div id=”header tag”. Image repeating is caused by opening “header” division inside of “top-bar” division. You inserted header image by adding some inline styling, so when there is a header div id there will be image also. Yes, the theme files have been edited. My client required the site to be created rapidly, and unfortunately I didn’t have the time available to learn how to create a child theme at that point. Now I am in the midst of doing some major updates (WordPress core, plugins, etc.) and trying to fix all that. If at all possible I am going to create a child theme and complete the update. Hopefully deactivating and updating plugins, working with a child theme, etc., will solve the problem. If not, I will most likely be back! You should never edit theme files. You will lose changes at the next theme update. It is not terribly difficult to create a child theme. There are many resources listed on this forum. Most of the changes you need to make can probably be made via theme features or by using Graphene’s action hook widget areas. There are tutorials for both on my blog. Yes, I’ve realized that by now. I’ve read up and have been working toward creating the child theme this week. I’ll never make that mistake again! Anyways, thanks for a great theme as well as the resources. Unfortunately, I hear that a lot. The only way we are going to get people off IE is if we quit catering to it, AND we inform people that there are better alternatives out there, which are free. I do not agree. If you make web for clients it’s your duty and responsibility to make it cross browser compatible. In my work I see dozen of web sites that are suitable for MS IE ONLY. With WP and themes like Graphene cross browser compatibly is child game :).